Due to the shutdown of the federal government, we were forced to make changes to the 2019 AFL-CIO Dr. Martin Luther King Jr. Civil and Human Rights Conference, namely the Award Program and Reception. It will now be held on Sunday, January 20, at the Washington Hilton. We apologize for any convenience. In Dr. King's "I Have A Dream" speech at the 1963 March on Washington for Jobs and Freedom, he told a divided nation that we need one another and that we are stronger when we march forward, together. Now, more than 50 years later in these trying times, his words still ring true. In the midst of great political and social unrest, we have an opportunity to come together, uplift one another and collectively strategize for the future we dream about. The Martin Luther King Jr. holiday weekend presents an opportunity for the AFL-CIO to engage our affiliates, constituency groups and partners who are looking for a space to discuss the most important economic policy issues that lie at the intersection of race and class coupled with the legacy of the Rev. Dr. King. We will gather Jan. 18-21, 2019, in our nation’s capital for the annual Dr. Martin Luther King Jr. Civil and Human Rights Conference! Against the backdrop of Supreme Court blows to the labor community, continued attacks on voting rights and in the face of arguably the most important election cycle of our time; we call on all working people to rise up with courage and conviction in a demand for economic and racial justice. Hardworking people are the backbone of this nation, but in the past few years, we have witnessed devastating rollbacks of our rights and our wages. If there were ever a time to mobilize, train and deploy the united force of the labor community—this is it! 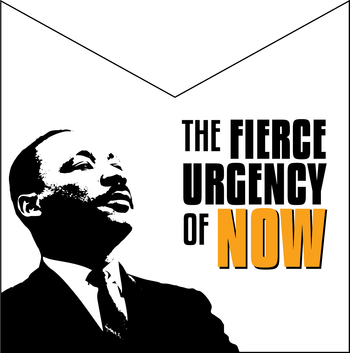 Please join us for The Fierce Urgency of Now!